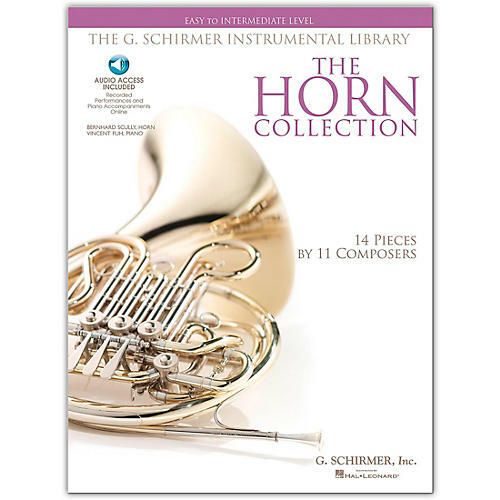 An ideal collection for a student performing in a contest or recital after 3-4 years of study. Contents: Marmotte, Op. 52 (Beethoven) · Lovely Moon (Bellini) · Sarabande and Gavotte (Corelli) · A Favorite Place (Mendelssohn) · Love Song (Mendelssohn) · Fear not, beloved from Idomeneo (Mozart) · Let Her Believe from La fanciulla del West (Puccini) · Nymphs and Shepherds (Purcell) · The Picture of the Rose (Reichardt) · Air from Rosamunde (Schubert) · About Strange Lands and People from Scenes from Childhood (Schumann) · All Souls' Day (Strauss) · The Ash Grove (Traditional). Recordings feature Bernhard Scully, principal horn of the Saint Paul Chamber Orchestra, and pianist Vincent Fuh.